Furthering her attack on PM Modi, Banerjee alleged that he was sending letters to people through post offices claiming that the central government was behind the scheme. 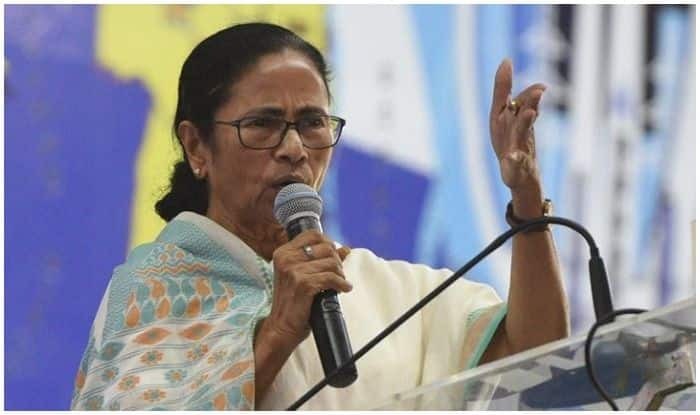 Kolkata: West Bengal Chief Minister Mamata Banerjee on Thursday announced that her state would not pay its share of funds for Central health scheme Ayushman Bharat, and also asked the government to pay the entire amount on its own if it wanted to run it. Banerjee alleged that Prime Minister Narendra Modi was taking full credit for the scheme. “Bengal will not provide 40 per cent of the funds for the scheme. If the Centre is keen to run the scheme, it should cough up the full amount,” Banerjee told a rally in Nadia district. “Why should we contribute 40 per cent of the funds for Ayushman Bharat? The letterhead has the picture of the Prime Minister’s face with a lotus (BJP election symbol) instead of the symbol of the Indian government?” Banerjee said. Notably, PM Modi launched the scheme in September last year to bring 50 crore poor people under a medical insurance cover of Rs 5 lakh per year. The states are required to pump in 40 per cent of the funds. With the exception of Delhi, Odisha, Kerala, Punjab and Telangana, all other states and union territories have inked the pact with the Union Health Ministry for running the scheme.